Slow cooker pulled pork is one of the easiest and most delicious dinner recipes you will ever make. It’s spiced with a rich BBQ flavor and is great on sandwiches, in wraps, and even on salads. I adore you. You are always smiling. Your tail is always wagging. I can’t help but pet you. Seriously though, I am shaving your ever-shedding self the first chance I get. The hairballs I sweep up on a daily basis are just crazy. The dinner to remember, because it’s the comfort food you can’t forget about. By the way, do you call it a slow cooker or a Crock Pot? Because inquiring minds need to know. One is a generic term for it and the other is a brand name. It’s kind of weird how people use them interchangeably. Place pork in crock pot, over the chopped onion and season with cumin and steak seasoning on high for 6 to 7 hours (or until it pulls apart with a fork easily). Pull the pork and add everything else. Sometimes I make on the fly adjustments of more brown sugar or hot sauce. It’s really easy to tweak to your own taste. 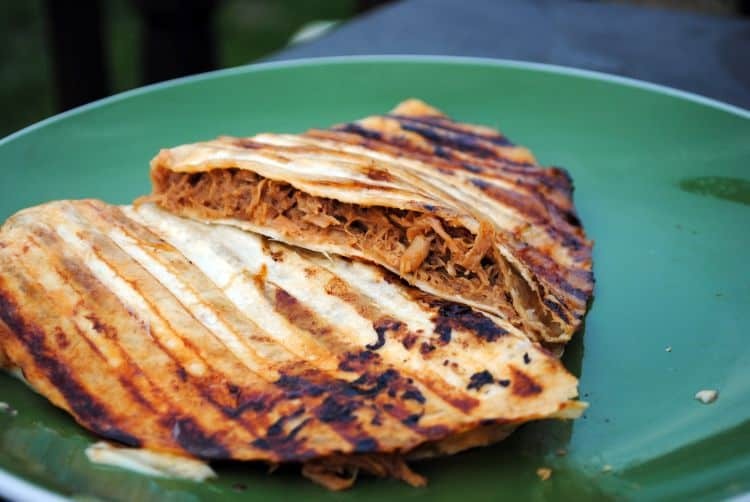 This slow cooker pulled pork is great on kaiser rolls with pepper jack cheese, as a grilled quesadilla with American cheese and spinach (yes, something about the American cheese made it magical), or over a baked potato. Really, I haven’t found a way this pulled pork isn’t good yet. PS! The garden hasn’t spontaneously combusted yet! OMG how I am drooling right now. Haven’t had pulled pork in such a long long time. Thanks for sharing this! That looks GOOD! I’m passing this on to Janet. I’m stopping by from SITS. We’re happy to have you. Just made this and it is DELICIOUS! 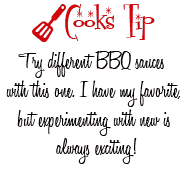 Use SBRay’s sauce and I wouldn’t change a thing…this is bbq pulled pork perfection!